On occasion, during the advance of old age, practicality and common sense meet up with reality. No doubt about it. It's a beautiful thing. 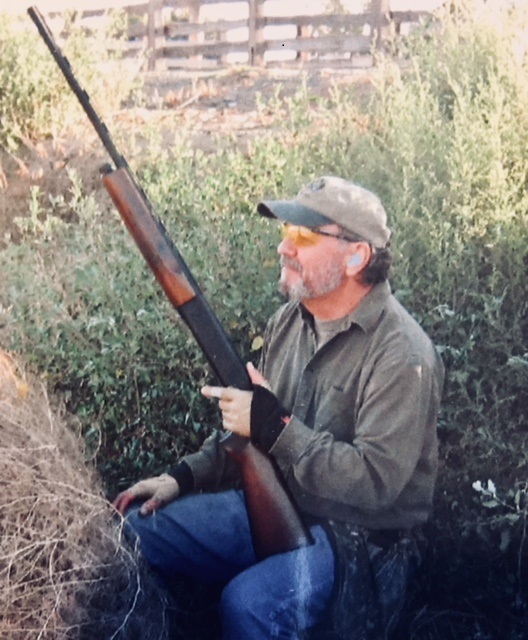 During my 74 years, I've covered countless fields, hills, dales, bogs, and marshes for over five decades with a scattergun. I might argue that with age and experience, I have earned the credibility of a tenured, silver-haired, bespectacled college professor. I have the silver hair, spectacles, rheumatism, lumbago, arthritis, and gout to augment my claim. Armed with that noble, albeit somewhat dubious status, I intend to prove that 90% of the time (100% under the proper conditions), hunting success with a shotgun can be achieved with a 20 gauge gun. Quite simply, it boils down to two things: ballistics and ability. Ballistics being the gun and the shot. Ability being the fine art of creating that glorious moment when bird and shot arrive at the same time at the same place. Alas, they must get together for success to be met. To wit, a 20 gauge load of 7/8 oz. steel #3's and a 12 gauge load of 1 1/8 steel #2's leaving the muzzle at 1500 feet per second have close to the same number of pellets, and fairly similar terminal velocity upon reaching the target. The load of #3's carries 3.4 ft. lbs. of energy at 40 yards, and the load of #2s carries 4.4 ft. lbs of energy at 40 yards. Both loads have sufficient energy to put x's in the eyes of a mallard duck at that range. 7/8 oz. of #3s at 1500 fps is a common load for a 20 gauge gun chambered for 3" shells. The main ingredient for success with that load vs. a 12 gauge gun is being able to shoot the gun with a slightly higher degree of accuracy, given that the shotshell pattern is not as dense as the 12 gauge. I have used a 7/8 oz. load of #5s at 1500 fps in a 20 gauge gun chambered for 2 3/4" shells and bagged ducks over decoys with relative ease. Additionally, a 20 gauge gun is every bit the match of a 12 gauge on upland birds. The size of those birds and the range at which they are shot levels the playing field between the 20 and the 12. The bit of difference comes when hunting waterfowl. But in the hands of a hunter who has practiced and can shoot his 20 gauge gun accurately out to 40 yards, it's not an appreciable difference. In my experience, the only place a 12 gauge (or a 10 gauge) gun holds a definite advantage is when you are pass shooting geese. To be honest, if you want to guarantee success on big Canada geese at extended ranges, you'd be better off to locate a military ordnance depot that's having a surplus sale and purchase one of the smaller artillery pieces such as a 105 howitzer. Geese over decoys at practical ranges is something else again. I once saw a guy bag a limit of specks and snows over decoys with a little 28 gauge gun. An added plus with a 20 gauge gun is the weight of the gun, and in many cases, increased ease of handling and pointing the gun. I might also mention that for those hunters who are at the age where they qualify for collecting social security, the smaller size and attributes of the 20 gauge can come in mighty handy during the course of a long day afield or on the marsh. So, there it is in a nutshell. If you haven't done so already and are so inclined, grab yourself a 20 gauge the next time you head out afield, and give the little gun a try. There's a good chance you'll be pleasantly surprised. You might even retain enough energy when you get home to knock out a couple of items on your wife's honeydew list.